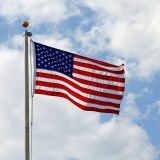 Our Commercial Aluminum Flag Poles manufactured in the United States are available in various sizes from 20’ to a staggering 80’ to cater to all your flag hoisting requirements. These in-ground flagpoles made of high-tensile strength aluminium are offered in various models like external halyards, internal halyards, internal winch, tilt and EZ remove models. Aluminum flag poles are strong and less expensive than steel which makes it one of the most popular flagpole materials in the world. Shop from our collection of Commercial Aluminum Flag Poles and take advantage of our best prices, quick shipping and much more! 100% customer satisfaction guaranteed! 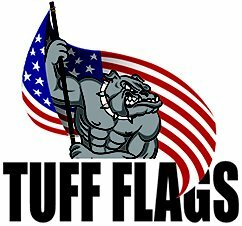 Tuff Flags have a complete line of Commercial Aluminum Flag Polesi n various sizes and models to cater to your diverse requirements. These made in USA flagpoles come with a lifetime warranty on the shaft and are designed to withstand the outdoor weather conditions. Our flagpoles come with all the necessary accessories. External halyard: A robust flagpole that is frequently used in city halls, fire departments, and business park type settings. Internal halyrad: The Internal Halyard Design protects your halyard and limits the access to only those you want to let in. Tilting and removable flagpoles: For a little more money, you can add this feature which allows you to remove or tilt the flagpole in the future if necessary. Convenient for hurricanes, broken halyard, removing the pole for a building sale. 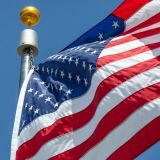 Having an appropriate flag pole will enhance having the look of having a flag pole on your property.. Browse our collection of Commercial Aluminum Flagpoles and pick up a model that matches your needs. 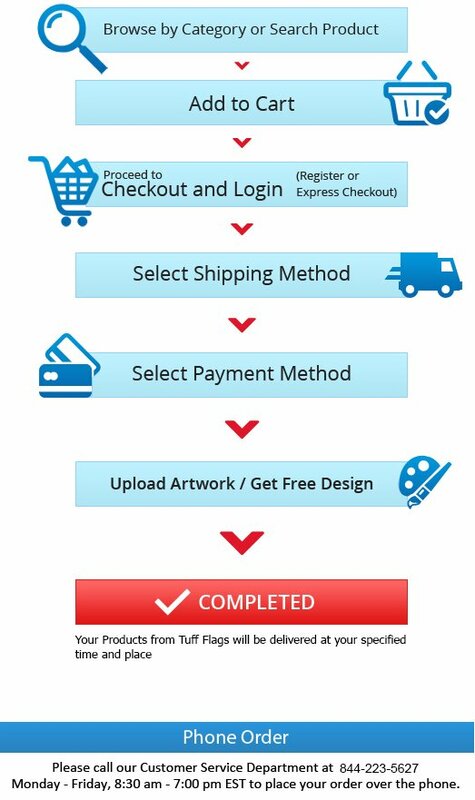 Should you need any tips or assistance, feel free to call us at our toll free number (888) 287-3524 or email us at customercare@tuffflags.com.